The newest of Methodist College's bachelor degree programs, the Bachelor of Social Work will prepare students for a professional practice that promotes individual, family, and community well-being, and social and economic justice. Graduates will be prepare to work as social work generalists and to take the required licensing exam to work as a licensed social worker. According to the U.S. Department of Labor Occupational Outlook Handbook, social workers are employed in a variety of settings including hospitals, mental health clinics, schools, child welfare and human service agencies, or in private practice. In addition, the employment of social workers is projected to grow 12 percent through 2024, with increased demand in healthcare and social services. The Bachelor of Social Work degree requires 120 total credit hours, with 51 in general education and 69 in social work. The expected length of time for students to complete the program is four years, or eight semesters. The last two semesters of the program will require students to participate in a practicum experience which will allow them to engage in a real world setting to further develop their knowledge and practical skills to be effective social workers. 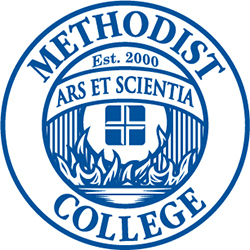 These practicum experiences will take place at various Central Illinois non-profit, human service organizations and hospitals with whom Methodist College already has developed strong partnerships. The Bachelor of Social Work program is approved as a Candidate for Accreditation through the specialized accreditation offered through the Council on Social Work Education. Students who enter programs that attain Candidacy in or before the academic year in which they begin their program of study will be retroactively recognized as having graduated from a CSWE-accredited program once the program attains Initial Accreditation. Candidacy is typically a three-year process. For more information about the Bachelor of Social Work, contact a Recruitment Coordinator at (309) 672-5513.